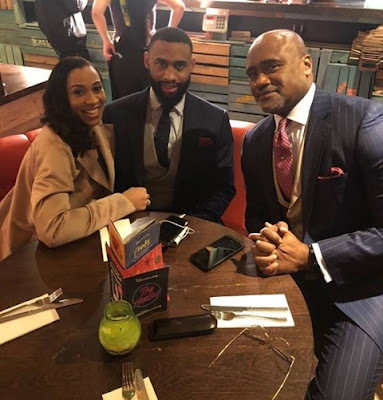 Paul Adefarasin, senior pastor of House On The Rock Church, is obviously a proud father, as he penned a lovely open letter to his handsome son, Alvin, who just graduated. 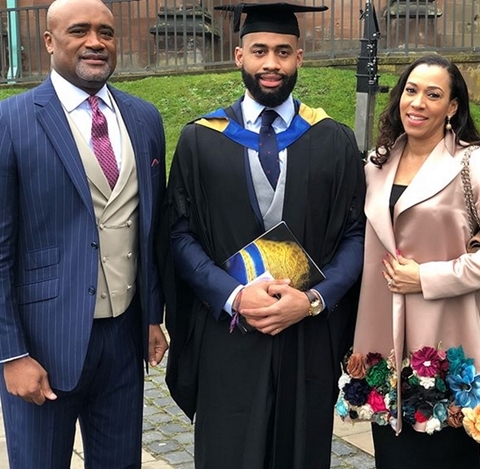 He and his beautiful wife, Ifeanyi, on Friday attended the graduation ceremony of their 21-year-old son who graduated with a first class honors in Civil Engineering. "Congratulations to our son at his graduation ceremony - Adegboyega, you have been such a blessing to all who have known you from the day that you were born, and friend, you have always made us so proud, especially as you convocated yesterday with first class honours Bsc Civil Engineering. Your Mother and myself salute this milestone attainment with you, and we pray that as you journey into the next season of your life, that HE will cause you to continue to remain exceptional in everything that you do. Dear Son, no matter where you go and where God takes you, remember who you are in Christ; remember whose you are, and who’s in you. To say we are proud to be your parents is modest. We are blessed to know you and to love you: To God be the glory - HE has been immensely gracious to us as unique individuals and also as a family too. We love you friend, and we are in your corner. More so, be assured that God’s hand is upon you and He smiles.